Raw Honey can help give skin an extra boost. I've found that this is really great for my dry, acne prone skin, but I prefer it as a facial mask rather than a cleanser due to potential mess. Rose Water is one of my obsessions because it's wonderful redness on my face. It can gently remove grime from clogged pores. It also doubles as an astringent so it can help to reduce the appearance of pores. Win! Yogurt is jammed packed full of vitamins and nutrients that can reduce discoloration or the appearance of scars or freckles. Milk products like yogurt or buttermilk can be great for oily skin. Important: it must be unsweetened and plain yogurt! If you're sensitive to dairy-- you may not want to try this. Aloe Vera can help to support damaged skin which is one of the reasons why it's so popular for sunburns. It's very versatile because it's good for all skin types! This has been particularly helpful for my rosacea. Apple Cider Vinegar can be great for skin, especially acne. It can also be useful for dull, rough skin and balancing skin, but it must always be diluted! I use 1 TBSP per 1 cup of water. Castile Soap is a great cleanser, but I personally do not use this alone on my face as I find it to be drying. Next, add ingredients to help amplify your base to get the results that you want! This can be fruit, essential oils, herbs, or oils. Personally, I like to add 3-5 of these amplifiers to my base. I use these in smaller quantities and it's not rocket science so there is no need to be exact, but I usually do not use more than 1 tsp of any one of these in my face wash.
Carrier oil such as tamanu, avocado, jojoba oil, evening primrose oil, etc. They can really help to moisturize and protect skin and can even offer some protection from the sun. You can read about the Oil Cleansing Method if you are interested in only using oils for face care or would like more specific information about the more common carrier oils. Vitamin E protects the outer layer of the skin and works to keep us looking beautiful. Lemon juice can help reduce discoloration, but be sure to test this on your skin first as it may cause bleaching. Vegetable Glycerin is a must for me! It's a great moisturizer and can really support dry skin by locking in moisture. It's also non-irritating for my super sensitive skin. Essential Oil can have a wide variety of impacts on skin. There are oils that can work as astringents (reducing pore appearance), cleansing, and help supporting pesky skin goals such as complexion woes, irritated skin, redness, and much more. Some of my favorites are lavender and frankincense to help clear and calm my skin while reducing scarring, melrose to help inflamed, irritated skin, and chamomile to help decrease unwanted facial hair and soften/smooth skin. It is important to use quality essential oils for skin care or side effects may occur! This is the recipe that I use and love. It works wonders for my skin, but remember-- everyone's skin is different so feel free to play around with this recipe to make it your own! This particular recipe has been very helpful for my acne prone, sensitive skin which tends to be dry and irritable, but I think it would work on many different skin types. 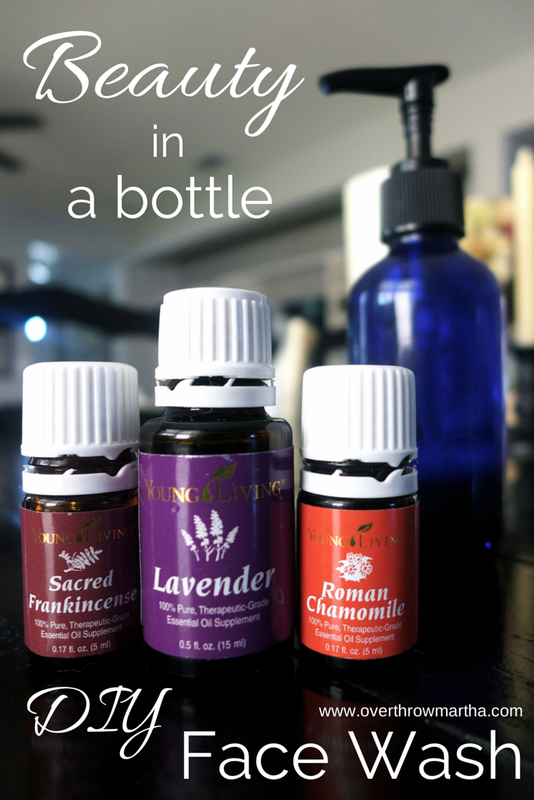 I mix all of these in a glass pump bottle (like this one ) and give it a gentle shake before I use it as it can separate a bit. I follow it with some toner and my DIY Rosehips and Lavender Moisturizer for a complete skin care routine. The first time I used it my skin felt a little tight, but after a couple of uses my skin was feeling so soft, moisturized and my complexion was flawless. I'm really enjoying this facial cleaner and I hope you enjoy it as much as I do. You can substitute Elemi for Frankincense in this recipe as it's a great replacement for Frankincense especially since there is a bit of a shortage right now and it's much cheaper! Bonus! I use a line called Face Naturals and it works like a charm. But my point is that I spent YEARS using chemical, harsh stuff on my face and it just got worse and worse. 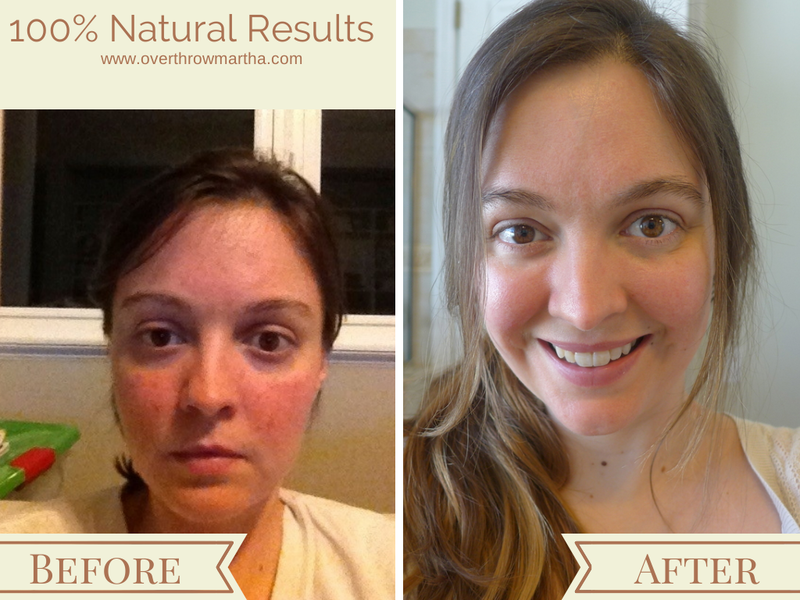 It was not until I switched completely to natural skincare and makeup that my skin became clear and non-irritated. It's amazing how these wonderful natural ingredients are what our skin really need. Combination skin is difficult because some people are more oily or my dry than others. I personally would substitute the chamomile with peppermint and leave the rest of the recipe intact, then adjust for more lavender if my skin was still too dry and more peppermint if too oily. :) I hope that helps! I have a few questions Sherri, on the Castile Soap if you use Eucalyptus vs. Baby Mild do you think it would be a difference? 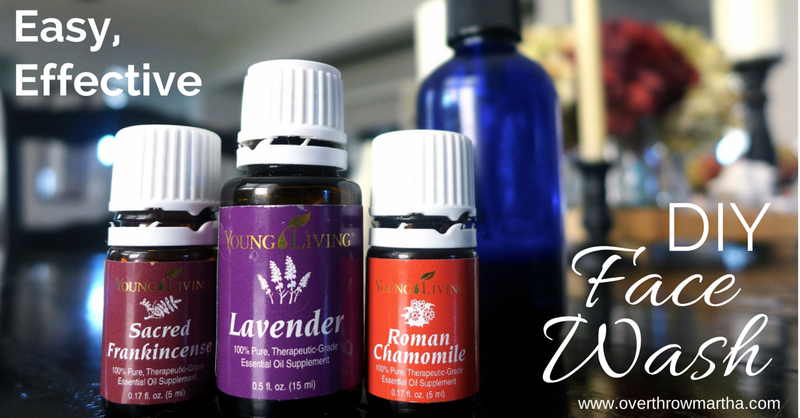 What if you don't have the chamomile or frankincense oils or their substitutes, what do you use? It's all preference Patrice! I have very sensitive skin so I stay away from all things with a scent unless I know exactly what is included to make that scent and where it's from (like if it says essential oil-- which brand because not all brands are created equal). Hey Sherri what do you use if you don't have the frakincense or chamomile and you don't have the suggested substitutes? Waiting for them arrive later in the month, but would like to try this DIY. BTW your Rosewater Toner recipe is lovely. It is helping heal my tzone that had a crazy reaction to some other DIY recipe I tried. This has been an awesome learning process. Thanks for sharing this - I love your skincare recipes. I just started using the YL oils a few weeks ago - love them. I have used EO's for years but none that have worked so well - love how so many of them can be used internally as well as topically. Do you have suggestions for what to use to make this also act as an exfoliant? I always have dry little flakes around my nose and eyebrows if I don't exfoliate often. Thanks!